Home › Uncategorized › Summoners Who Fought For Zaun Last Arc: Vote In A Fourth Faction! Summoners Who Fought For Zaun Last Arc: Vote In A Fourth Faction! Traditionally, a winning faction’s Summoners get a bonus vote to add a faction to the next arc. As Zaun achieved Viktory in Hextech Revolution, they win that honor this time around. 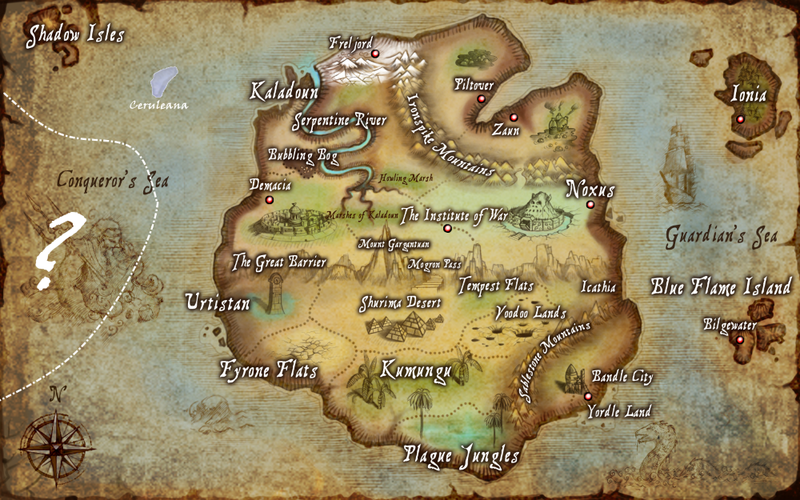 I was going to close the poll and announce the fourth faction (joining Bilgewater, Ionia, and the Shadow Isles in the exploration of this newly discovered continent) today, but found that there was a tie. As a result, I’m pushing the final tally forward to noon Pacific on Wednesday, July 13, 2014. Cast your vote if you haven’t! In the unlikely event that there’s a tie tomorrow, I’ll randomly select from among the tied factions. ‹ Vote Results — Two Factions Join The Sixth Arc’s Lineup!